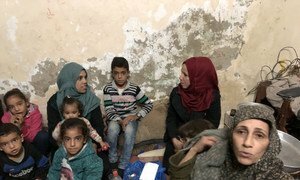 With rampant poverty and unemployment, food insecurity is on the rise in Gaza making uninterrupted food assistance critical to protect the livelihoods of vulnerable Palestinians. Electricity supplies have been sporadic for months, with Israel also withholding fuel deliveries in retaliation for rocket attacks, and lately, Israel decided to withhold around $140 million in tax revenue transfers to Palestinians. Hamas has imposed extra taxes on basic products across Gaza, one of the issues which also fuelled this week’s protests against the economic crisis there, where mainly youth-led marches reportedly displayed banners citing “down with price hikes”, and “the revolt of the hungry”. 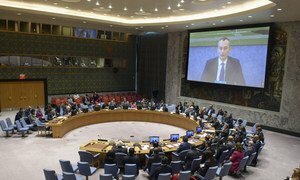 "I strongly condemn the campaign of arrests and violence used by Hamas security forces against protesters, including women and children, in Gaza over the past three days” said UN Coordinator, Nickolay Mladenov, in a statement issued on Sunday. News reports said that hundreds of those who took part in the demonstrations, were begin held in detention over the weekend. Mr. Mladenov urged “Palestinian factions to engage in earnest with Egypt in order to implement the Cairo Agreement in full”, referring to the stalled deal in October 2017, between Hamas and Fatah, that it was hoped would end more than a decade of disagreement, beginning with Hamas’s victory at the polls in Gaza, in 2006. “The United Nations will continue its efforts to avoid escalation, relieve the suffering of people in Gaza, lift the closures, and support reconciliation,” said Mr. Mladenov.